Little sun and a little rain. Very few people on the beach on this end of the island. I’ve decided to “force” myself to walk farther down the beach and back each day; therefore, I needed a good sport’s bra…it’s a workout…and the only one I’m likely to do. So off to Savannah and some shopping. I decided to eat at Mrs. Wilkes’ place. I have been there once a really long time ago. It was divine. 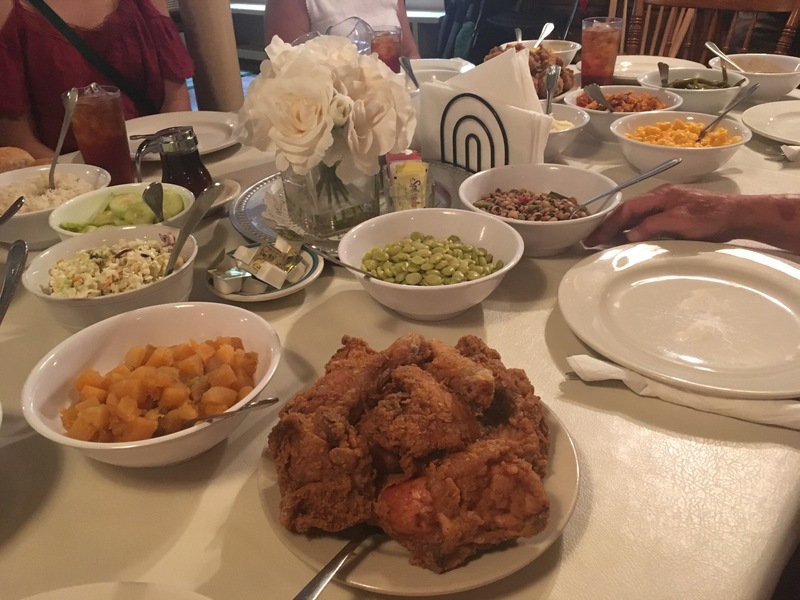 It’s located right in the heart of Savannah and because it’s family dining (10 random people at a table), it’s a wait…always…which I think is a testament to the food. I met several great people (a teacher from California, a couple who have a house on Tybee, and a retired couple who live near Auburn University) and the food was delicious. Came “home” to a great walk on the beach…thank in no small part to a great sport’s bra…go Lane Bryant…I may wear this thing from now on! Storm rolled in. 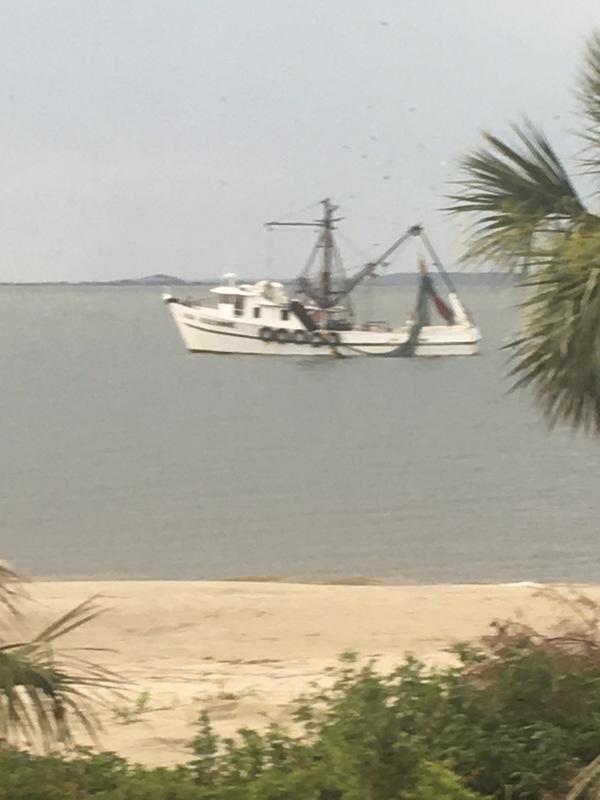 Shrimp boat took shelter near our beach and the dolphins went wild. I hope this is what heaven is like. Because it sure is peaceful and good for the soul. The beach is truly my place of zen. Haha, On training men right in the south!